Q: How long have you been coming to the Gilsum Rock Swap? I first started as a dealer in 1989 as a swapper then as a full dealer in 1990. From 1994 on, the bulk of the material I sold was minerals from the mines I was working. From 1994 to 1997 it was quartz and fluorite from the Wise mine. From 1998 to 2003 it was beryl and feldspar from the Wise and Beauregard mines. From 2004 to 2016 it was beryl, black tourmaline, rose quartz, garnet and feldspar from the Tripp mine in Alstead. And in 2010 I started selling Tripp mine lapidary goods and jewelry. 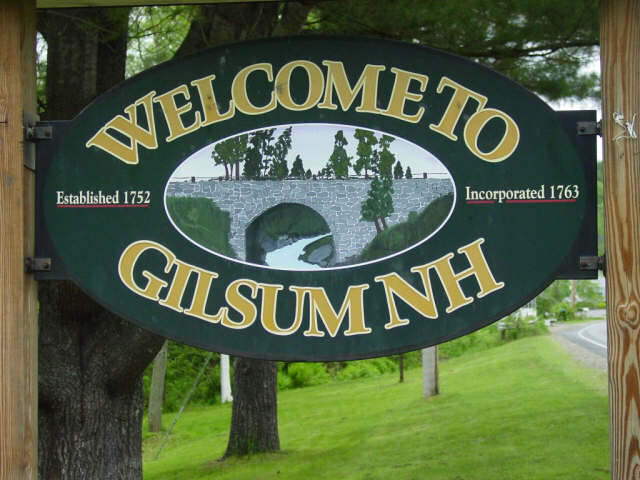 Q: What will you be selling at the Gilsum Rock Swap this year? For 2017 the minerals I offer will be a mix of leftover Tripp mine specimens and other minerals collected worldwide, as well as Tripp mine lapidary goods and jewelry. I will also have some limited New Hampshire gold jewelry. Q: Every year you have a silent auction in your space. What’s on offer, when does it take place, and what are the rules? The silent auction is where we move the mine run material. For the past 12 years most the material is from the Tripp mine. For this year there will still be material from Wise and Tripp mine and a bunch of world wide material also. Also other rockhound and lapidary loose goods as boxes, tools, so on. The average price is around $3. Q: Which mines have you operated or worked in the area, and what minerals did you mine from them? My first mine was the Wise mine, which I owned and operated from 1994 to 2003. It produces mostly fluorite and quartz for the specimen market. This mine was a major hard rock mining education for me. To work this mine I needed to obtain blasting, storage, transfer licenses and permits, along with the equipment. I operated the Beauregard mine from 1998 to 2015, producing beryl and feldspar for the specimen market. The Beauregard mine was my first time working a pegmatite, which was quite different than working the Wise mine which was a hypothermal deposit. I never broke a drill at the Wise but at the Beauregard I broke so many that I started using larger drill steels. I began working the Tripp mine in 2000 and continue today. But at this time, the mine is on extended vacation. It produces gem beryl and quartz for the lapidary market, as well as beryl, black tourmaline, feldspar, and garnet for the specimen market. I actively mined the Tripp from 2004 to 2015 knowing that the Tripp project material would bring me into the lapidary and jewelry market. I took a gem cutting class for the second time, and lapidary brought me into fabricating jewelry. Now both are full-time business for me. I have a jewelry and lapidary storefront in Milford NH. 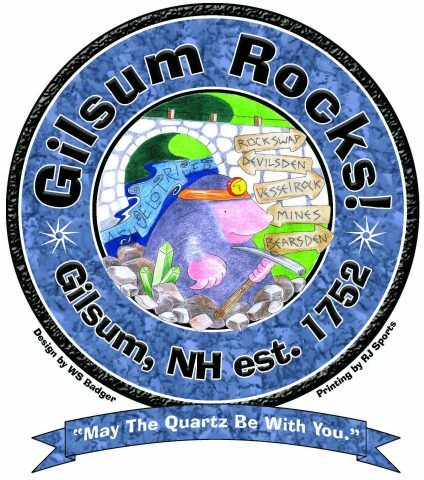 Q: What part of the Gilsum Rock Swap event do you most like? What keeps you coming back? For me it’s the social interaction with all of the rock hounds. The Gilsum show has the largest concentration of rock hound dealers (rock hounds that have to sell to make more room for their new stuff). This aspect gives the show a buzz and a better opportunity to find that specimen sleeper. Q: Ok, so we have to ask: Who is the person next to you in the photo above? 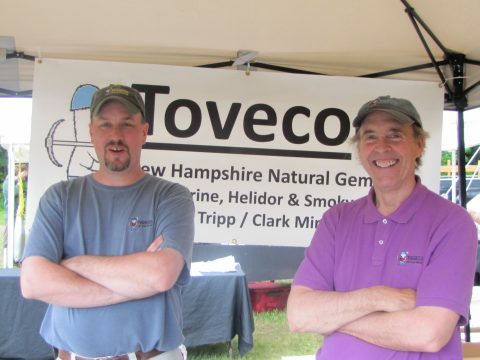 The guy to my right is Lee Champigny, an accomplished jeweler and lapidary craftsmen. Lee started working with me about 15 years ago. Vince Valade and I wanted to bring on a young guy under 30 to work with us at the Wise Mine. The only disappointment with Lee was that he was 32 at the time. Other than that, Lee has just been great. Q: You’ll be giving a presentation this year. What cool things will people learn? And I’ll have plenty of specimens on hand, of course. 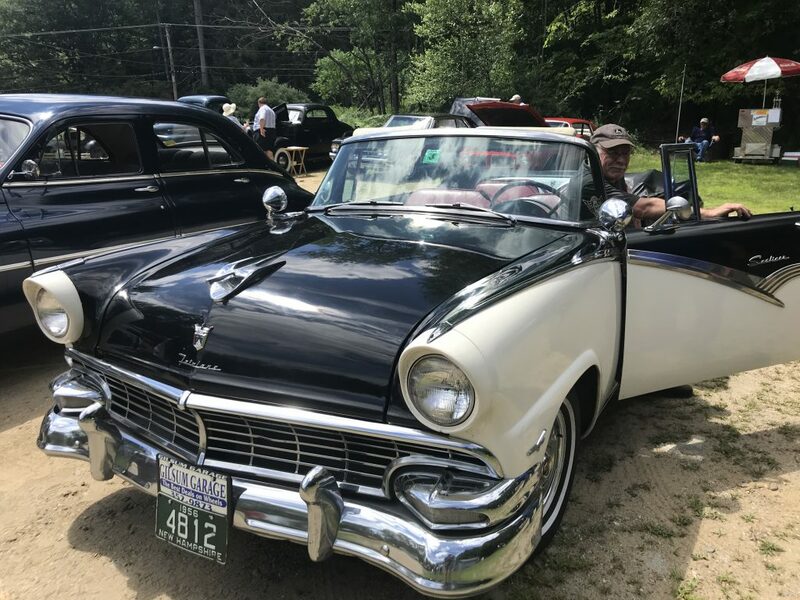 Come hear Jim speak at the Gilsum Rock Swap on Saturday, June 25 at 1:00 PM in the auditorium.